The Schuylkill River Heritage Center contracted B.R. 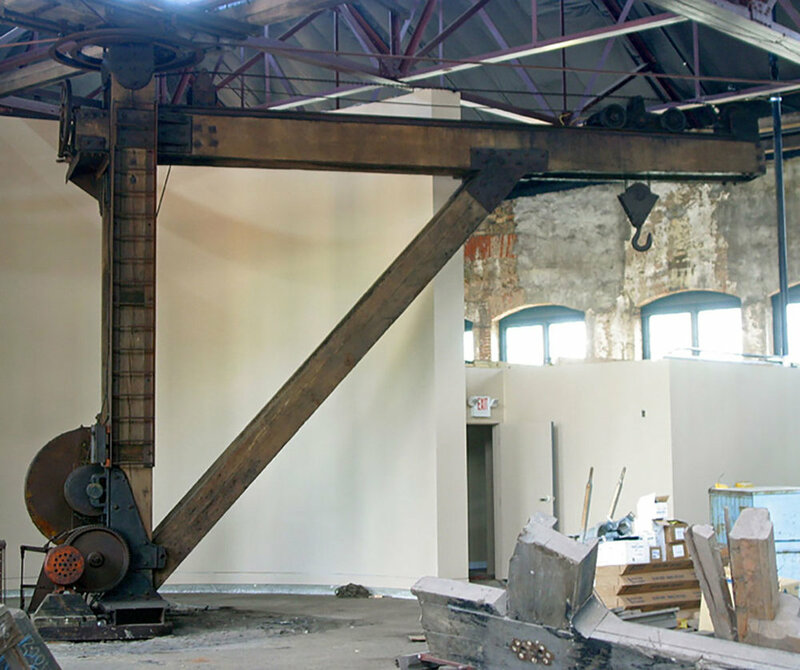 Howard to conserve their large wooden crane that once belonging to the Phoenixville Iron Works building. 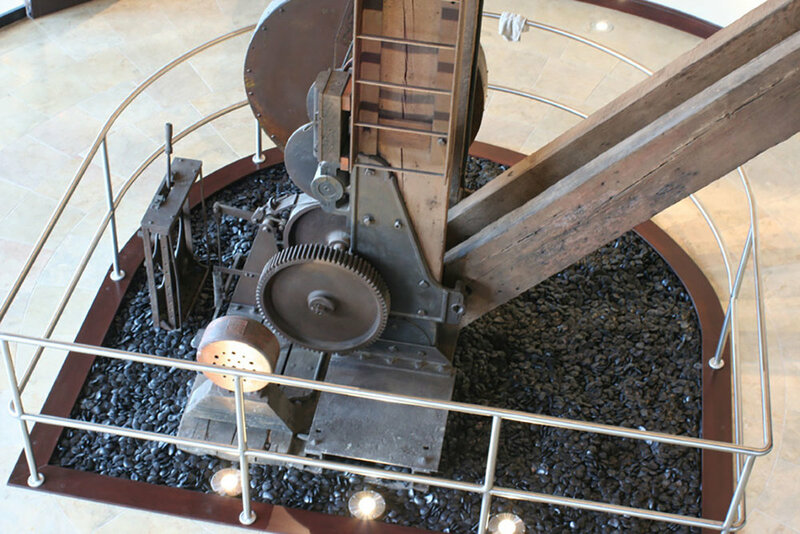 It was used to move molten iron for the casting process. The foundry had been established in 1790 and continued to grow until it produced more than 1000 of the 1400 guns produced for the U.S. Army during the Civil War. They also cast the structural “Phoenix Column” which was used worldwide in the late 19th century. 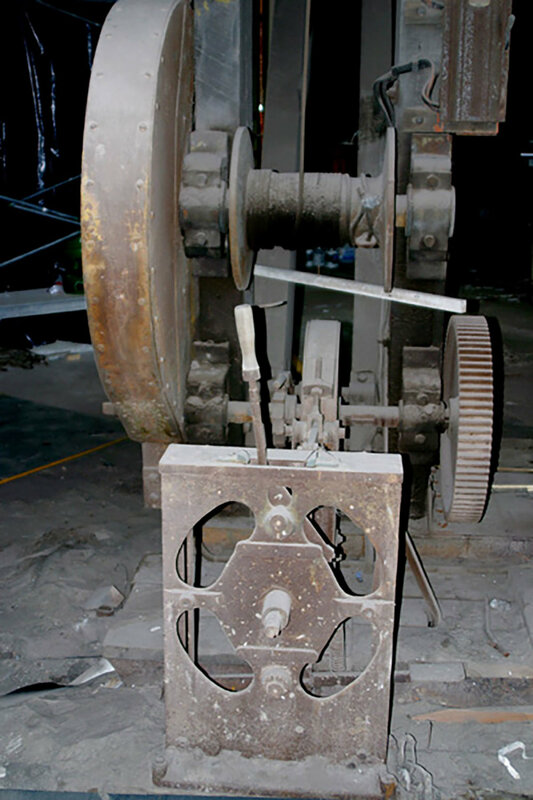 The focus of treatment included structural stabilization of all wooden components, reduction and of active iron corrosion, preservation of historic finishes, and the retention of historic “in use modifications” to the crane and controls. Thorough documentation of the 20' tall, 30' long pivoting crane was conducted. Debris was removed from the recessed area surrounding the operator's platform to access and assess damage to the wooden elements. Extensive reconstruction was required to structurally stabilize the proper right side of the platform using wood matching the species and dimension of the original components. Heavy accumulations of dust, dirt and grime laden lubricants were removed using aqueous and solvent based cleaning systems. Actively flaking paint was consolidated. Frayed electrical cables were stabilized and the friable asbestos brake band was consolidated and encapsulated using synthetic resins.